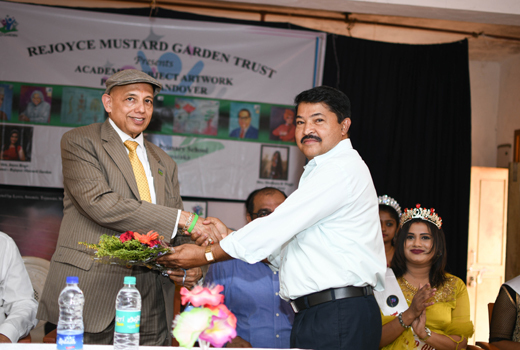 Mangaluru, Mar 22, 2019: Rejoyce Mustard Garden Trust organized Academic Subjects Artwork handover program at Anegudde School, Valpadi on 21st March 2019 @ 11.am. 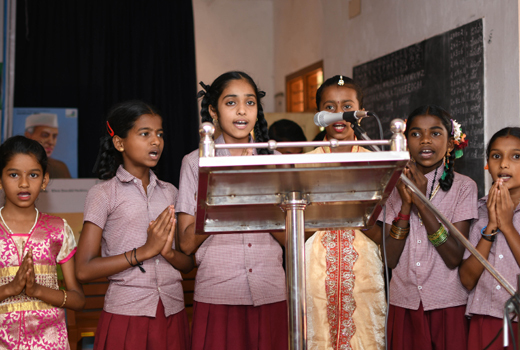 The event commenced with the prayer by school students followed by the welcome dance. 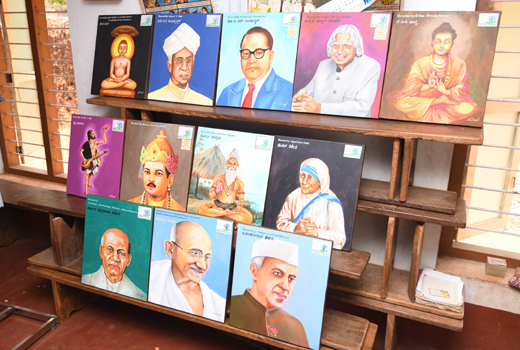 26 academic subjects Boards were sketched by Mrs. Madhura with an aim to increase self-confidence and self-understanding for Anegudde School Students. 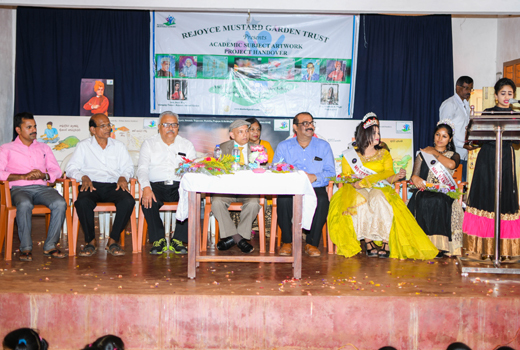 Addressing the gathering, Managing Trustee of Rejoyce Mustard Garden -Joyce Rego said “Miss & Mrs. Mangaluru 2018 Contestant Mrs. Madhura Ravi Wagle has proved to be an inspiration for all those people who think only winners can shine in any event.Madhura is the perfect example for charity at heart (the inner beauty). 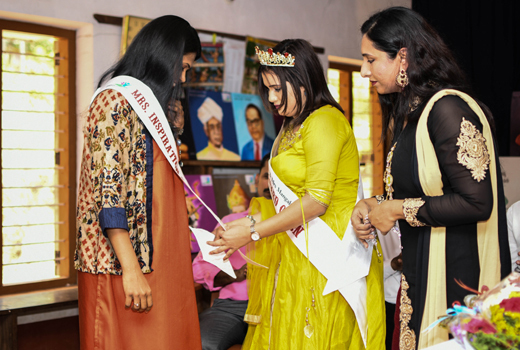 Despite of being a non-winner in 2018 season 1 pageant, Mrs. Madhura decided to work on her charity project with the support of her husband Mr. Ravi MR Wagle”. 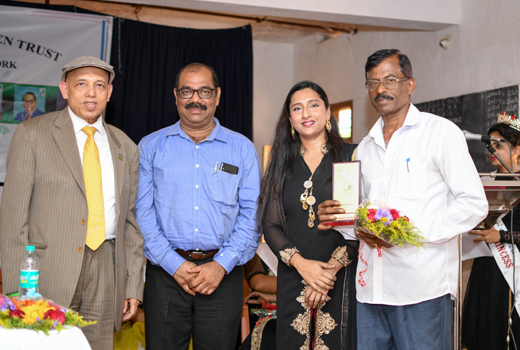 Mr. Norbert Pereira - headmaster for Anegudde school was felicitated for his dedication & hard work. 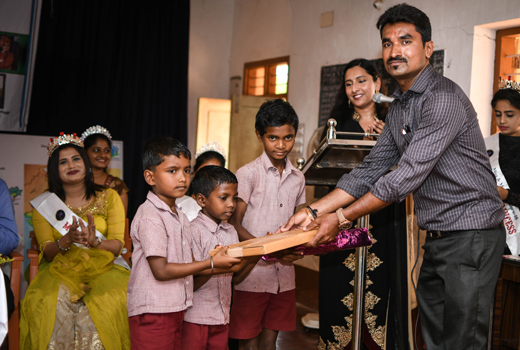 3 students from Anegudde school were provided with M/s. Green Energy solar power connection. Cheque distribution to Dinakar family (monetary help for kidney failure dialysis) from Shirtadi. Lunch gathering with the entire team and students of Anegudde school. 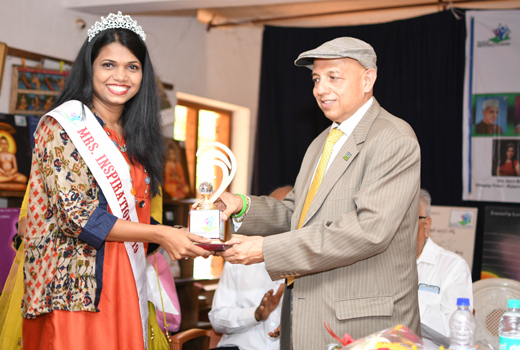 Mr. Lal Goel - Chairman Organ Donation India Foundation, Rtn C H Gafoor - Secretary Rotary Club Moodbidri, Ms. Ashwini Poojary - Mustard Queen 2018, Mrs.AnithaSoans - Mrs. Mangaluru 2018 2nd runner up, Miss Raksha Rao – Miss Talented 2018, Mr. John Tauro - school committee member, Mr. Praveen D’cunha, secretary - parish counsel, Mrs. Kiran Sharma from Mathura, Mr. Divyapal Sharma from Mathura, Mrs. Madhu Garg from Mathura, Mr. Ashok Garg from Mathura were present as chief guest in the event. Mr. Abhaychandra Jain - Ex Minister Govt of Karnataka,Rtn PK Thomas, Mr. Valerian Sequeira, President of Moodbidre block congress were also present.